Western Construction, Inc. 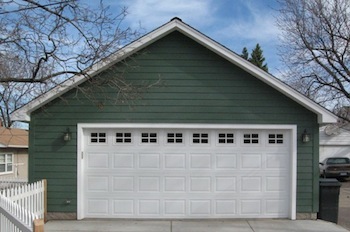 The Top Minneapolis St Paul Garage Builder for Price, Quality and Service Since 1949. 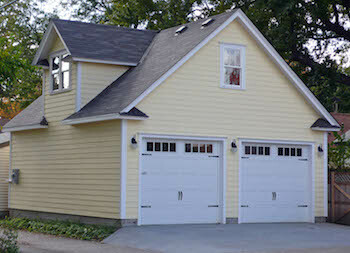 Are you looking for a Twin Cities Garage Contractor who can construct a high quality garage that is both practical and beautiful? At Western Construction we provide the professional workmanship and reliable construction you need to confidently design and build the perfect building for your lot and your budget. We're a family owned & operated business serving Twin Cities homeowners since 1949. 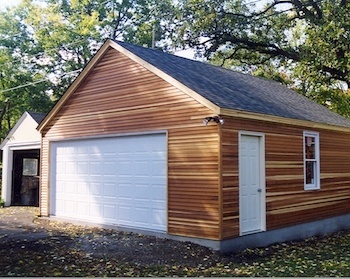 Did you know you could finance your 20x22 two car detached garage for a low monthly payment of just $79.18 a Month? 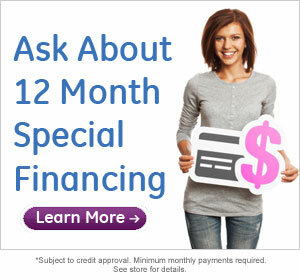 Check out our Internet Only Special page to find out how easy it is to finance your project. At Western there are three different styles of you can choose from our Basic, Storage Truss, and Room In Attic Truss - and hundreds of different options to choose from. From these options you can put together the building that not only compliments the look of your home, but can stand as a beautiful structure on its own. Concrete’s versatility, durability, and economy have made it the world’s most used construction material. I've written several articles explaining what concrete is, what it's made of and why our garage contractors think it's the perfect material for our Minnesota Garage Slabs. 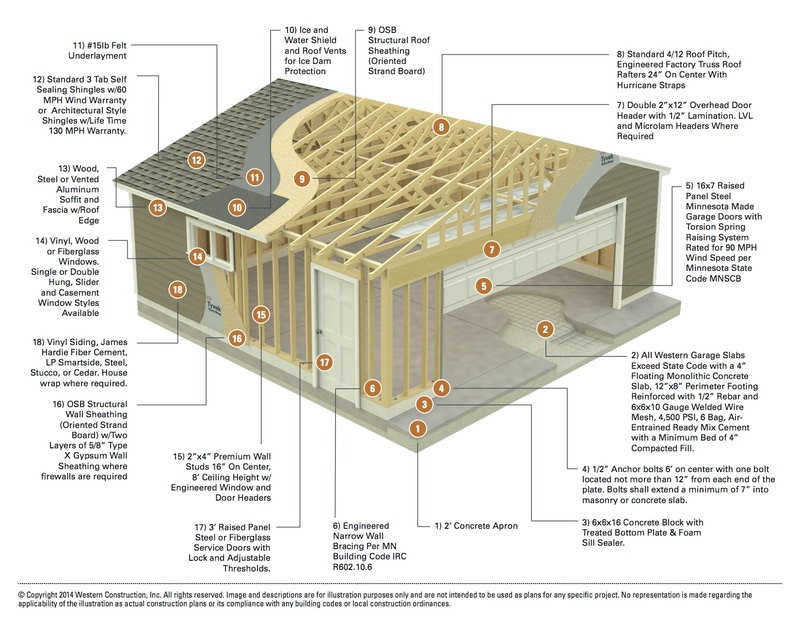 You can find these articles under Blog Categories-MN Garage Slab. The building process starts early and, after several meetings between sales and production, can get all the necessary paperwork done. We will even go to your City building department and get the approvals necessary before constructions starts. You can even leave the excavation of the groundwork and removal of your old structure entirely up to Western. 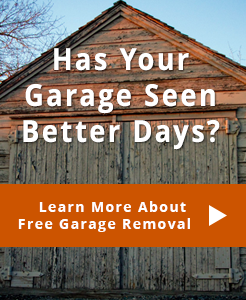 As the most trusted and respected Minneapolis St Paul Garage Builder, we are dedicated to providing you the best service and the most reliable construction possible, and our commitment to your projects begins with the paperwork and ends with a beautiful and durable finished garage. We should know - Western's first office in 1949 consisted of a card table and chairs in an unheated garage, with the nearest phone a quick sprint away in the house. 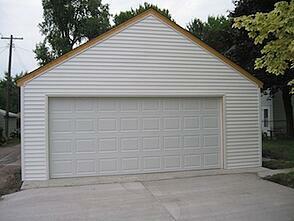 We'll design your detached garage not only to meet your needs but to complement your home and look great on your lot. Western Construction can even help you arrange financing. We partner with banks, credit unions, neighborhood housing organizations, and agencies that specialize in low interest loans for home improvements. We're familiar with where to get the best rates on FHA Title One Home Improvement Loans, home equity loans, The Minnesota Fix-up loans, or home energy loans. Please check out our Frequently Asked Questions page for more valuable information. We update this page from time to time so check back often. What can I build a in my Bloomington, MN back yard? How close to the property line can I build my Minneapolis detached garage? Whats the maximum size allowed on my St Paul lot? How tall can I build in Richfield, MN? 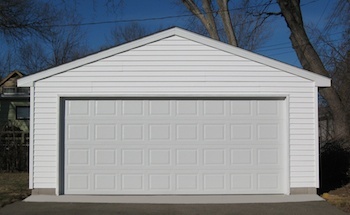 What type of garage construction will the City of St Louis Park, MN accept? Do We need a firewall in Mpls, MN? How close to the alley can I build in St Paul, MNt? Can I build a single car in Edina, MN? Does the siding in Columbia Heights, MN have to match the siding on my home? To find out the answers to these and other questions about building and construction in the Twin Cities and surrounding area just click on your City name to find the answers.